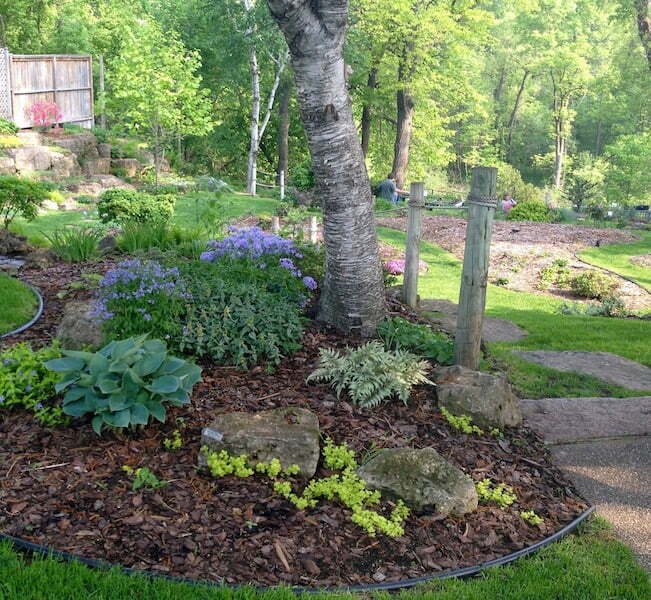 Addison is well known for her rock gardening expertise and has designed and built several public rock gardens including the Peace Garden at Lake Harriet in Minneapolis, as well as gardens in New York’s Central Park. she says. 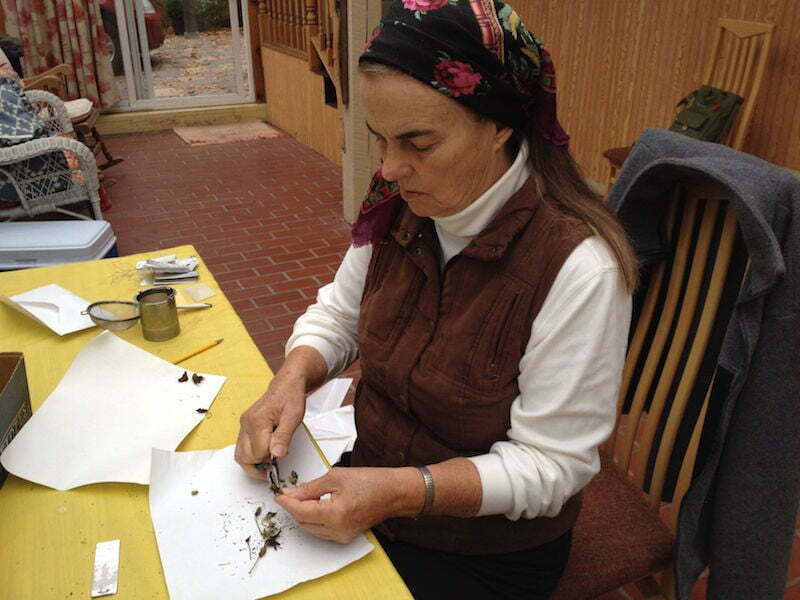 To illustrate, she tells the story of how her mother took up rock gardening in her 70s. 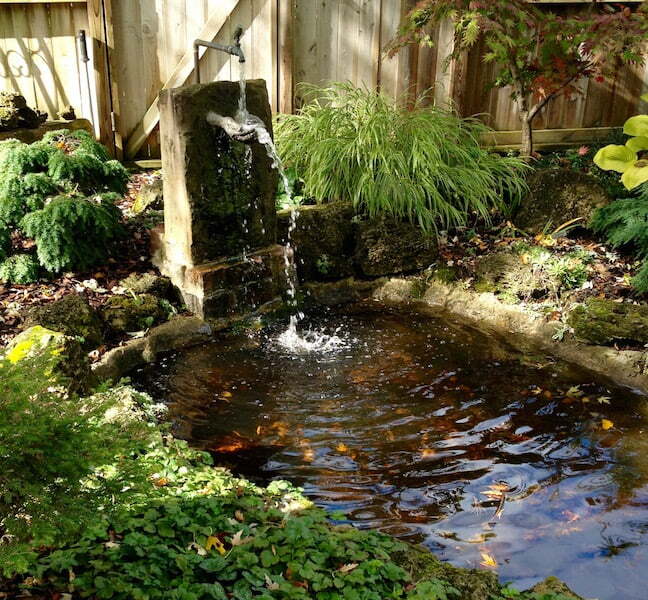 In addition to everything else she does, Addison also designs gardens for public and private clients. To understand her aesthetic prospective clients need only visit her home (by appointment) and wander around her extensive gardens in the front and back yards. 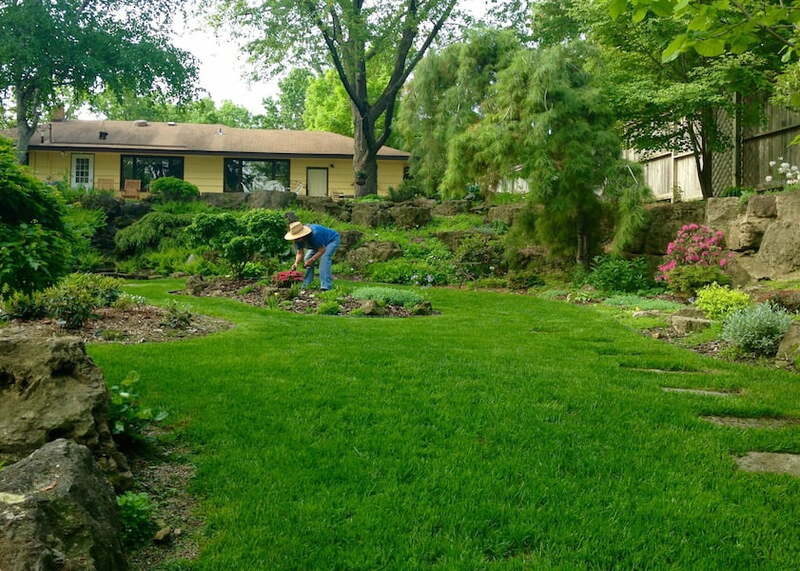 Though she has lived in her house for more than 50 years, much of the landscape was completely reworked when Rice Creek Gardens closed and she decided to take many of the nursery’s plants, huge limestone boulders and stepping stones home with her. As you would expect, there are several rock gardens. 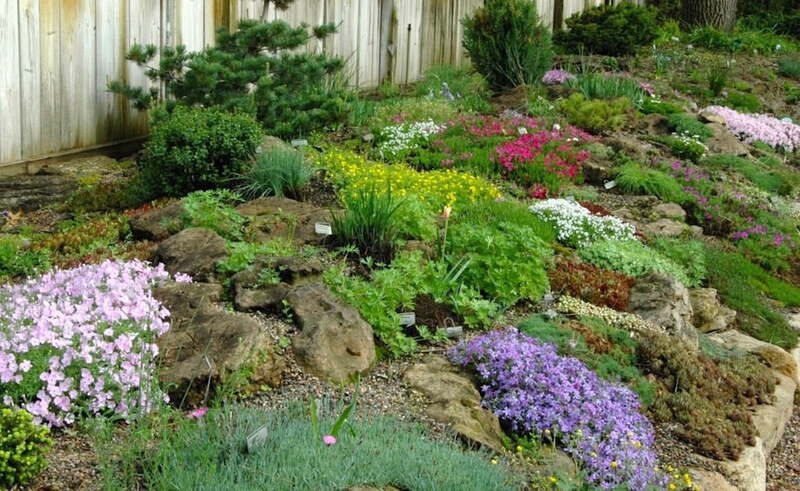 One that is particularly striking runs the whole length of one side of the driveway and features alpines, the tiniest of rock garden plants, including trailing veronica and several varieties of sedum, primrose, phlox, geranium and dianthus. 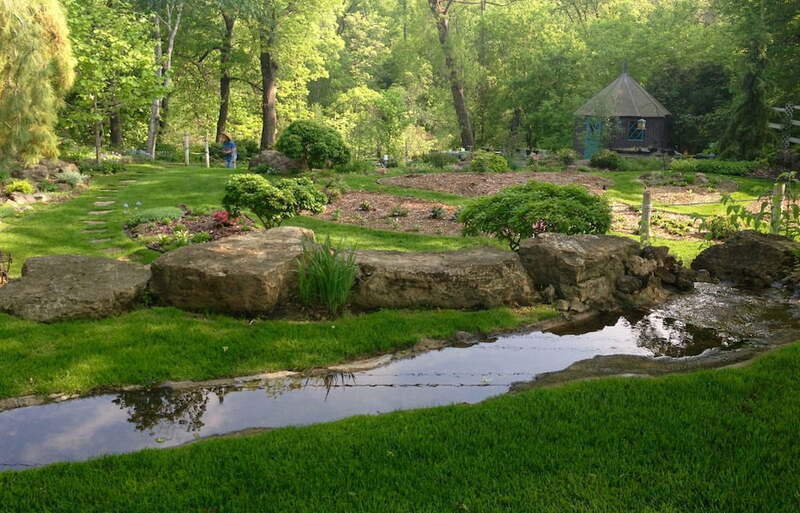 While Addison’s front yard is exceptional for its design and plant diversity, I gasped last summer when I walked beneath the Gardens of Rice Creek sign above the back gate and glimpsed her enchanting, park-like landscape. There are three levels of terraced gardens: the lowest contains the nursery where tables are lined up to accommodate Saturday shoppers. On the top level, a peaceful waterway is fed by a simple fountain above a pair of cupped, bronze hands. Addison had the hands sculpted from a wax mold of her husband’s hands before he died of congestive heart failure nearly two decades ago. she says, pointing out a woodpecker landing on a feeder just outside the kitchen window. Along the fence on both sides of the yard curving beds contain a variety of plants, some of the most notable being a weeping white pine, paper birch, dwarf hemlocks, a variety of hellebores, ferns, phlox, azaleas, rhododendrons, Japanese forest grass and ‘Lois’, a magnolia hybrid (Magnolia x brooklynensis ‘Lois’) from the Brooklyn Botanic Garden with bright yellow blooms that last several weeks after opening later in the spring. “You don’t see that magnolia very much, but you should because it’s just gorgeous, and it’s also reliably hardy. I know because I’ve had it for years,” she says, pointing to photos on her computer because I missed it when it was in bloom. 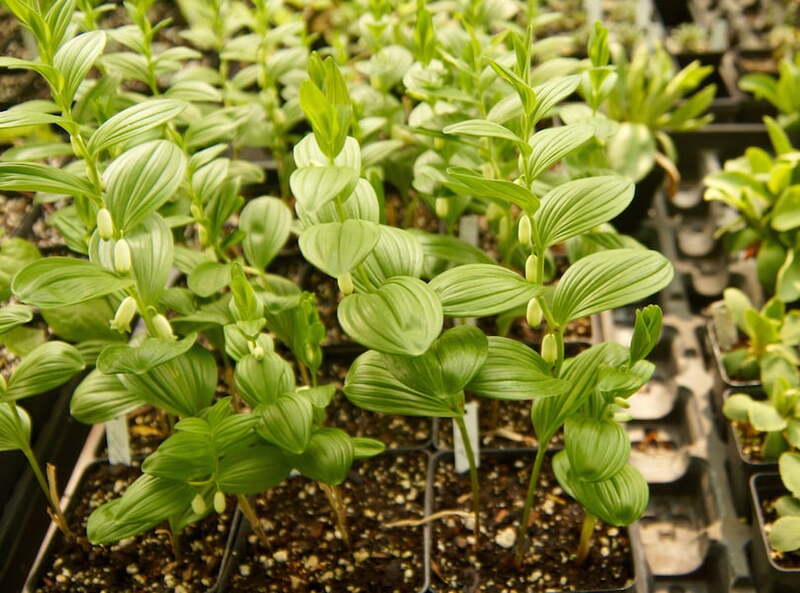 Addison is a firm believer that gardeners shouldn’t trust books and plant tags to tell them what’s hardy. Give plants a try. See for yourself. 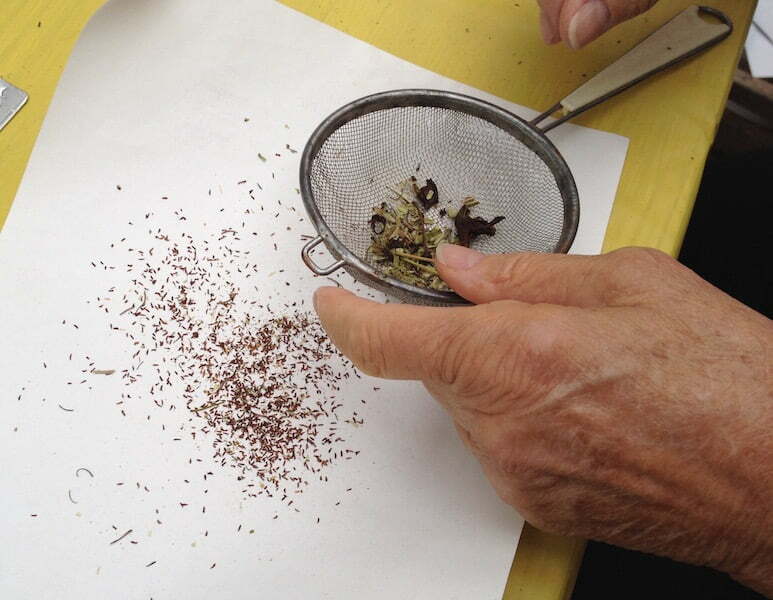 Over the years at Rice Creek Gardens, she, Charles and their business partner, horticulturist Harvey Buchite tested thousands of plants from all over the world. 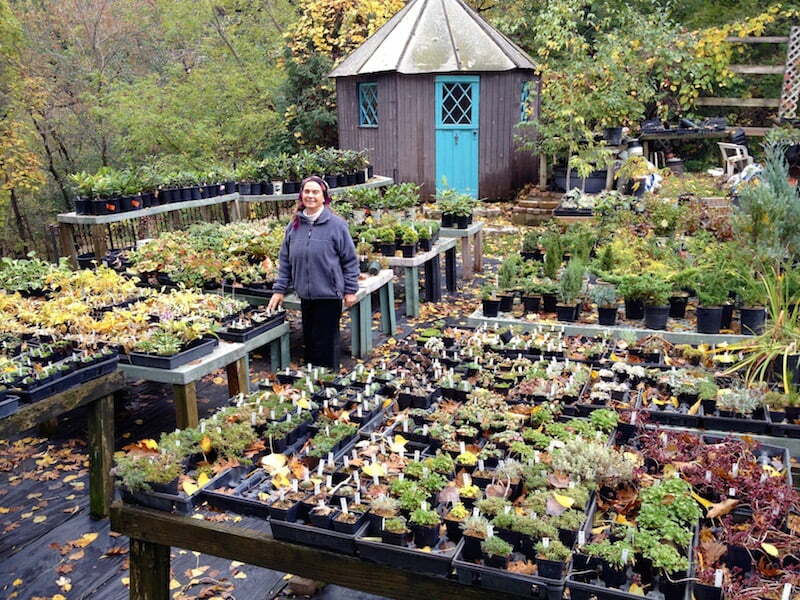 These days, the beds in the center of the second level of her backyard serve as trial gardens for the many large-leaf rhododendrons she is working to breed. Though she isn’t ready to introduce any of her cultivars, she is pleased with the results she’s had so far, and as we headed down to the basement to see some of her latest rhododendron seedlings, she could hardly contain her excitement. “See, this is a really special one, look at that nice reddish cast to the leaves. 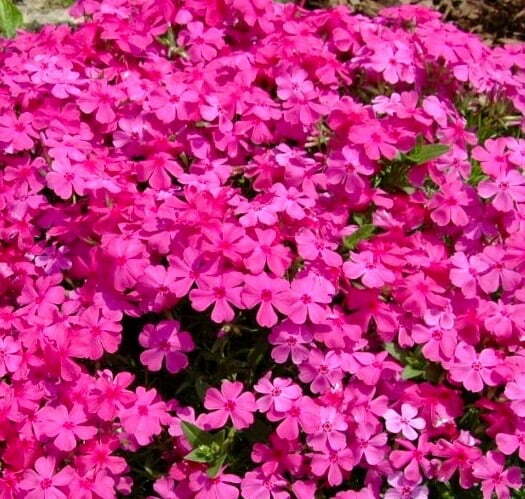 There is a good chance it may produce dark flowers too,” she says, smiling.